Bad Beat Jackpots – are they worth it? Last night I was playing a cash game – Limit Hold ‘Em – at Absolute Poker. I find that the tables at AP are rather loose. I actually saw a small stacked player, having less than $2.oo in his stack, raise and re-raise until all of his money was all in the pot pre-flop. All he had was a 7 2 of clubs. Yes they were suited – I could not believe it – and the worst part – there was only one club in the flop, one club on the turn and one club on the river and he won the entire pot! And this was against a pair of Kings! His opponent did not have even have one club. 7 2 against K K and 7 2 wins. This was loose to the extreme. The tables I was playing on were called “Bad Beat” tables. Basically a small amount is taken from each pot to build a “Bad Beat Jackpot”. If you lose as a result of a bad beat – say you had quad eights and were beaten by a higher hand – you would win the lion’s share of the jackpot. Each online poker site that has this type of promotion has their own rules and regulations. To see what Absolute Poker rules are, click here! Someone had taken a bad beat while I was playing on a table of similar stakes. He/she held a hand that had four eights and lost the hand. At the time, the total jackpot amount was $98,000 and his/her share was about $34,000. The table stacks being played were .50/1.00 with most people having an average stack of about $15.00. Can you imagine winning $34,00o with a losing hand, playing on a micro stakes table? The winning hand received a similar amount and the remaining other 74 players at bad beat tables for the same stakes each got $91.14 as a bad beat payout even though they were not directly involved in the bad beat. I ended up the evening with over $100 more than I started with as a result of both the bad beat share and my winnings from the loose players. If the action was loose prior to the jackpot, it got even looser as all players receiving the prize were credited immediately and could use that money at the tables. Do you play at sites that have bad beat tables? Have you ever had a bad beat and been paid for it? Or do you just avoid this type of site or promotion? My ship barely got out of the harbor yesterday. Doing some routine things like taking my wife for a doctor’s visit turned into an all day affair. (She is much better today, thank you). When the day was about done, I pulled back up to the docks and settled down for a simple game of Limit Hold ‘Em at AbsolutePoker. Prior to playing I had just finished reading a review suggested by one of the twitter poker people that I follow. The article suggested that some of the players at the lower stakes played less than optimal, meaning I should be able to beat them. Of course when you play on a table with loose and non-aggressive players, you also can suffer some high losses as well. These type of players won’t fold if there is even the slightest chance that their hand will win once they see the river. They will not bet, but will call right up until the last card. If they hit, you can count on a raise or a re-raise from them. Even if they don’t make their hand they might call a bet on the end anyway, in the hopes that you really did not have a hand either. They will play any two suited cards; an Ace with any kicker, suited or unsuited. They may even play AK with out hitting anything and bet it up right up to the river hoping that you fold or that you have a weaker hand than AK. So even though I played in less than 17% of the hands overall and only played my best hands, I had wide swings in the size of my stack during the game. At one point I had lost over 65% of my starting stack, being rivered when I had the best hand right up to seeing the last card. I had also increased my stack to more than 65% of the starting amount as well, but I ended up almost even after 2 1/2 hours of play. Would I play there again? Against these types of opponents? ABsolute-ly! Where do you chose to play? What type of players do you like to play against? Where do you earn the most profit in your play? 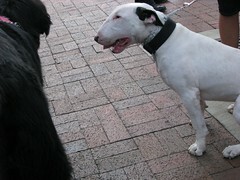 On Dads Poker Blog, I try to post once a day, usually on weekdays. I like to include in the post some of my thoughts, experiences and revelations learned about poker, either by playing or studying or watching. Some of what I write, I hope is either interesting, entertaining, instructive or thought provoking. Some days are harder than most when it comes to fresh or interesting ideas to discuss. Sometimes I look back and rehash an idea with a different perspective based on new experiences. Prior to writing my post for the day, I usually follow a routine of checking my email, twitters, and looking at, or reading Chris Brogan’s Blog. This morning was no exception. Most all of his blogs are great (I say this sincerely, even though he is my son), but his blog was “spot on” for me. His post was titled “You are the Captain”. His ideas and thoughts are just what I needed today. You can read the entire post by clicking here. “You are the captain, no matter where you sit in the organization. You command a vessel of one. Some day? Maybe a fleet. But start today. And look your ship over. Do you have the right maps aboard? Do you have a compass to guide you? Do you have a telescope to see beyond the next wave? Of late my poker ship has been rudderless. I have been adrift in a sea of lassitude and stuck in a sand bank of morass. My sails have no air. I am missing my oars. Well, you get the picture. I have been playing in Sit n Go’s of little or no value, cash games below the level that I know I can play in and in tourneys that are not good choices for me. It is time for me to once again become the captain of my poker ship and start shipping those cash games, tourneys and Sit n Go’s. Full speed ahead – avast ye poker donks – my ship is bearing down on you! 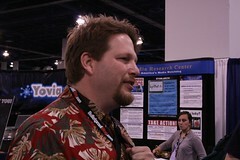 Note: Chris Brogan is the older of my two sons, Thom is the younger. Both are fine young men. If dogs could talk …. Okay, yesterday I said that it was time to experience poker again. But I was still in reading and studying mode and I could not get my poker mind working as Phil Ivey had suggested I should do in his Full Tilt Poker Tip. And now for the rest of the story. For the last four weeks I have been reading the poker essays of Mason Malmuth and this week I finished reading his revised essay Gambling Theory and Other Topics . At the end of his book, Mason reviews and rates over 120 books on poker and over 100 books on general gambling topics. The only books he did not rate were his own or ones that he had co-authored with other poker or gambling professionals. The number one book that he recommended was The Theory of Poker written by David Sklansky. In “The Theory of Poker”. David states the basis for this book, “The Fundemental Theorem of Poker” which is as follows. When my oldest son Chris was in the second grade, the teacher gave his class an assignment. Write about what dogs would say if they could talk. He refused to do it and my wife was called to a teacher’s conference to discuss it. My son told the teacher that dogs cannot talk. When the teacher asked my wife about it, my wife agreed with Chris, dogs can’t talk. This was my initial take on seeing what cards my opponent had. I can’t see their cards and they can’t see mine. But if I want to become a better player, I need to start “seeing” their cards. I have read this book before and I am going to finish reading it again. This appears to be a very deep think piece, but, I believe that the deeper meaning is that you need to gain the ability to read your opponents’ cards and play in a way that causes them to lose. They either lose, when you have a better hand, or they lose bets as you fold when they have a better hand. After having read just the first four chapters, my playing at the table in both cash games, small tourneys and Sit n Go’s were affected negatively as I may have over thought the situations and not gone with my instincts. Have you ever made decisions based on the way players acted before you, only to find that the hands they were playing were much weaker than the way they were betting? How much does prior betting affect your playing with smaller pairs or drawing hands? At 6:07 am this Saturday I got an email from Phil Ivey with the subject line “Phil Ivey – Don’t Read This Tip?”. And I did not read it … until 11:07 pm that night. Well … it really was not sent by Phil Ivey but by Full Tilt Poker on his behalf as I am a member of Full Tilt Poker. The article is well timed for me as I am in the process of defining who I am in the poker world. I have read well over 40 books about poker and have watched videos and televised poker. I can tell you the amount of information that I have gathered is both astounding and contradictory. Some authors will tell you up front that a lot of what is out there for us to read and learn from is unreliable. That brings me to the following question. Who do you trust for your poker information? I have no easy answer because of a lot of what is out there is pretty good, at least on the surface. And all that brings me back to the tip from Phil Ivey about just being yourself. He basically said that you should read what you can about poker, discuss poker with friends, talk about poker and think about poker. But the bottom line is that when you come to the table, just play poker. Gain your experience from playing and don’t worry about the right or the wrong thing to do. The experience you gain playing will help you integrate the book and video learning. Develop your own style. Play your own game. Yes, it is helpful to know the math and the odds of making a poker hand but you also have to know who you are playing against and the books won’t give you that information. Your playing experience will. With all of my training, it is now time for me to experience poker. How do you integrate your poker training into your playing? Is it possible to over think your playing? Do you gain all of your knowledge by just playing? Chasing bad draws – not a winning idea! There are times, when one is playing poker, that a drawing hand is worth playing. The reasons for staying would be to win a large pot if you make your hand. The other reason that you stay in is that you have many outs to win. Say you have two suited cards and two of the three cards on the flop are in your suit. You then have nine possible cards left in the deck to complete your flush. You also have 6 cards left in the deck that could pair your cards as well, giving you more ways to win. The idea here is that now you have more chances. In terms of making a flush, you need to consider your highest card versus that of your opponent. If you have the Ace in your hand, you have the best possible drawing – the nut flush. Anything else, well you are hoping that your opponent has a lower flush than you. And hoping is not the best way to play winning poker. During my last two sit and go’s and one tourney, I found myself chasing bad draws. I had two cards of the same suit in my hand and two of the three flop cards were of the same suit as well. I called small bets on the flop, the turn and river in an attempt to stay in the hand. Two of the cards I needed would have given me a straight flush but those cards did not come out. I did end up with a flush and when my opponent bet out, I called by putting in about a third of my remaining chips in the pot. Although my opponent did not have the nut flush, the best possible flush, Ace high, his flush was higher than mine. I barely had half of my original starting amount of chips after losing that bet. The results of these bad decisions made it difficult, if not impossible to recover from and win the games that I was playing in. In the end, I had lost both of the Sit n Go’s and the tourney. By being more selective about my starting hands and by not chasing after the flop, I might have had more success. If I did chase, I should have chased only if my draw was the best possible one. Do you chase flush draws? Do you chase straight draws? Are they the nuts or do you just hope that they hold up? What is your approach to drawing out? Recently I played 9 Sit n Go’s in one day. I played four in a row and then five in a row. Overall, I had cashed in six of the nine, winning once in first place, four times in second place and once in third place. I played each set without a break in between to do something different. Did playing so many games in a row affect my ability to play? I am not sure how to tell. Sometimes I will play a cash game session that will last a couple of hours before I stop or the game breaks up. Am I playing optimally throughout the whole session? Are my results an indication of how well I am playing or concentrating on the game? When playing online during Sit n Go’s, I will sometimes read my tweets from my cell phone while playing and setting out a hand. By doing so, am I missing some important play that could help me win the game? When I play a multi-table event such as the #TPT, on the Twitter Poker Tour, I will barely even chat because I want to see what everyone is doing at my table even when I am not in a hand. I try to follow the chat because I don’t want to be rude but this is a really tough group of players and one misstep can be disastrous. So if I gave my Sit n Go games the same attention I gave my #TPT tourneys, would I have done better? More first place wins, more overall wins? Not sure but I will certainly give it a try. When playing online, do you multitask? Or do you just concentrate on the game at hand? Thanks go to Diane, my wife, for this post’s theme. It was the results of observations she made while watching me play online.